I could go on all day about not overbuying equipment. Our school produces a fairly high quality album of music every year, and we don’t own top shelf equipment. We own only what we need to get the job done. When asking a dealer about what equipment you need to buy, they’ll tend to recommend stuff that’s either a) too expensive or b) low quality garbage. You want the narrow middle end of this equation. As a side note, Røde’s are the highest end I’ll go – they sound almost at good as high end AKG’s, and are made by robots in Australia, which makes them more awesome. Do NOT buy a Neumann or one of those Sennheiser mics that look like a Star Trek phaser for a school – they’ll get broken and you’ll cry. I usually end up just using the C02’s. They’re cheap enough that I’m not scared to have students set them up, and they sound good enough to pick up cymbals. If I want better clarity I’ll use the C1000’s – note that I don’t use these miss for anything but drum overheads. The flaws in the C02’s are readily apparent when recording acoustic guitar. With Snare drum, I find myself using the “snap” sound from the bottom head more in the mix, so I put the higher quality microphone there. 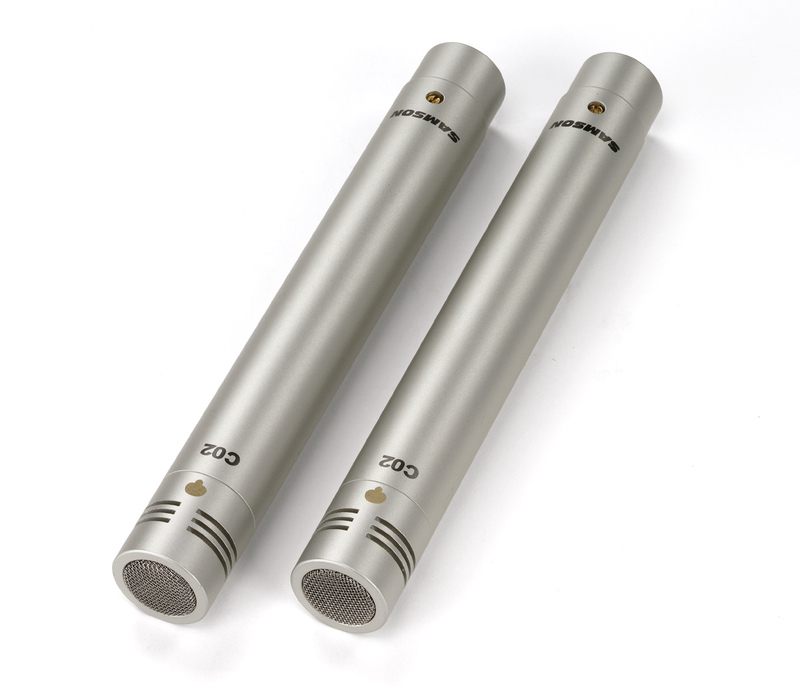 Either way, these are pretty general purpose mics. The PG’s are very similar electrically to the SM series, with the main difference being the entire chipset isn’t drowned in acrylic glue to make them durable as a handheld mic. These do a pretty good job at capturing kick drum. The PG56 has to be placed spot on to capture a good signal for the higher frequency “slap” it’s trying to hear, but it works. More of the old standbys here. 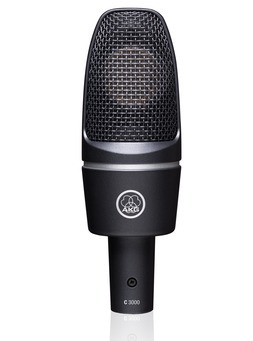 AKG C3000 ($300) – actually the vocal mic that is set up waiting for the vocalist’s take. We just point it at a corner on the other side of the room, and it captures some of the air, in case you need it. If you buy enough mics to cover a drum set, you’ve got enough to do anything else – vocals, acoustic guitars, whatever else comes your way. 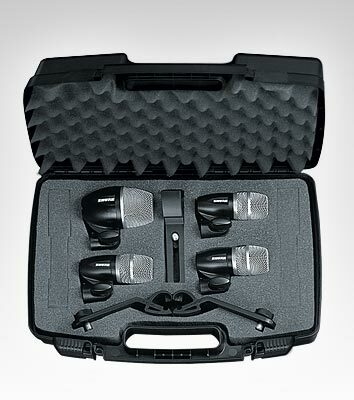 If you were keeping score, for just over $1000 you can get all the mics you’d ever need, and have a solid foundation for recording any source that comes into your studio!